Wales international prop Rhys Gill has announced that he will leave English club Saracens and re-join his former club Cardiff Blues next season. 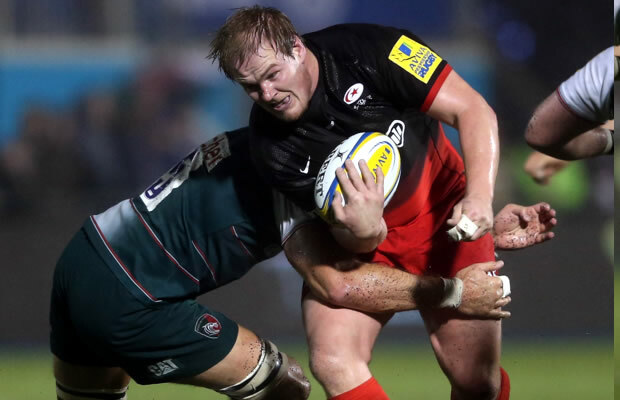 Front rower Gill has signed a contract to move to Cardiff Arms Park after a successful six-year stint with Saracens. The loosehead prop – capped six times by Wales – has made over 130 appearances in England and won the English Premiership twice and was a Heineken Cup runner-up in 2014. The 29-year-old from Rhondda spent the first four years of his rugby career with Cardiff RFC and Cardiff Blues. Gill joined Cardiff RFC as an 18-year-old, making his debut in 2005, with his first outing for Cardiff Blues coming in May 2006 against Munster at Thomond Park. Head Coach Danny Wilson said Gill’s experience and scrummaging prowess would make him a valuable addition to the squad being built at Cardiff Blues. “We are thrilled to sign Rhys Gill and that an ex-Cardiff Blues player is now coming home to his region,” he said. “He has had a very successful six years at Saracens where he has won trophies and experienced being part of one of the top environments in English rugby. Gill has also impressed on the international stage after representing Wales at Under-16, Under-18 and Under-21 level. He won his first full Wales cap in the 2010 Six Nations and most recently featured for his country in the 2015 campaign, coming on as a second half replacement in the victory over Italy in Rome. Gill said: “It’s exciting to be coming back home for a new challenge in my career. I also have strong Wales ambitions that I want to fulfil and I feel playing well for Cardiff Blues can help me achieve that aim. “I’ve worked with Danny (Wilson) before so I’ve always known about his vision and his understanding of the game. He is changing things for the better and has already made some high calibre signings with the likes of Nick Williams, Salesi Ma’afu and Matthew Morgan. “I’ve been lucky enough to see Cardiff Blues play firsthand this season and they’re already a different side to the team that started the season. It’s exciting to see the plans for the future.